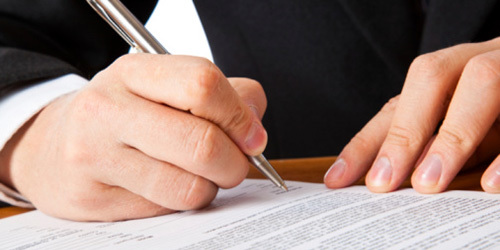 Our probate lawyers are experienced in probate applications, and are able to handle any of our client’s needs with respect to making an application for probate or administration of estates. Our probate lawyers are also able to provide advice with respect to estate planning issues so as to minimize taxes payable and maximize a portion of your estate that you are able to leave to your beneficiaries and loved ones, and to otherwise assist our clients in this often difficult part of the law. When someone passes away, the executor named in the will must marshal all of the assets together. The executor decides which ones should be sold and perhaps which ones should be sold but at a later time, they pay the debts owing by the deceased, file tax returns, make arrangements to close utility accounts, make claims on insurance policies and cancel any policy that is not required. They also enter into lease agreements on any revenue properties owned by the deceased. The executor decides if the sale of the revenue property should be delayed or postponed for a reason like wanting the market to improve before the property is sold. The executor’s role generally includes doing everything else necessary to increase the amount which the beneficiaries will be receiving from the estate. If the deceased owned any stocks or bonds, the executor must decide when or if those assets should be sold or if they should be sold at all, since the assets could be distributed in-kind to the beneficiaries. Distributing in-kind means to give the beneficiaries a proportion of the assets held by the deceased without having to turn them into cash. This could apply to stocks and bonds and any other financial instruments and even include real estate owned by the deceased. The executor must apply to the court for a grant of probate where the executor is required to list all of the details of the deceased, all of the assets and debts of the deceased, provide information regarding all of the beneficiaries, marital status of the deceased, any common law relationships, any children of the deceased, any adopted children, any children or other dependents who may be requiring financial assistance and similar matters. When the court is satisfied that all the required information has been provided, the judge issues what is called a grant of probate where the court determines that the last Will submitted to probate is, in fact, the last will of the deceased and the executor named or nominated by the deceased is in fact entitled to act as the executor. The executor is also required to deal with Canada Revenue Agency in terms of any income taxes or GST which may be owing by the deceased, make arrangements for the preparation and filing of tax returns both for the deceased for any income prior to his or her death as well as the income of the estate after death. Our lawyers and legal professionals are able to handle any of our client’s needs with respect to making an application for probate or administration of estates, providing advice with respect to estate planning issues so as to minimize taxes payable and maximize a portion of your estate that you are able to leave to your beneficiaries and loved ones and to otherwise assist our clients in this often difficult part of the law.